Saville Flowers, 1714 Sherman Ave. Saville is one of many Evanston businesses preparing for one of the biggest marketing holidays of the year: Valentine’s Day. From special outdoor seating to themed meals, businesses throughout Evanston are preparing for Valentine’s Day this Thursday. Evanston businesses will offer lovers special deals on interesting gifts and dinners for couples celebrating the holiday, which is the third-highest spending holiday across the nation behind Mother’s Day and the combined winter holidays of Christmas and Hanukkah. Americans are expected to spend $20.7 billion this upcoming Valentine’s Day, according to the National Retail Federation. Saville Flowers is a “classic flower shop,” according to store owner Mark Jones, whose great-grandfather opened the shop 77 years ago. 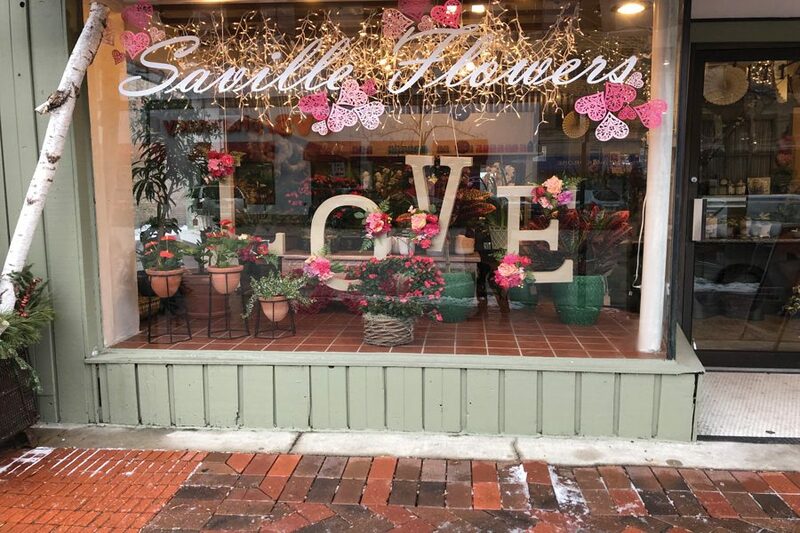 For Valentine’s Day — the shop’s busiest time of the year — Saville is selling a variety of bouquets. Jones said his personal favorites are the “gorgeous” imported, multicolored roses, putting a unique spin on the classic red rose. Jones said the tradition of buying red roses for Valentine’s Day is part of the iconography of the holiday. He said it is especially fun for younger generations to join in on that tradition. In 2018, romantics across America spent an estimated $2 billion on flowers for Valentine’s Day, but an estimated $3.7 billion was spent on an evening out. In that department, Evanston restaurants Next of Kin and Koi have unique plates prepared. Next of Kin, having just celebrated one year of operation in early February, will serve its normal dinner menu on Valentine’s Day, but from Thursday through the weekend, chef Marco Bahena will prepare a special menu, said Emily Paulsen, the director of marketing and sales for L3 Hospitality Group, the Chicago restaurant company that owns Next of Kin. The menu will consist of oysters and champagne. Alaskan king crab legs for two will also be served, as well as Chicken Lover Toast, a play on Chicken Liver Toast, Paulsen said. She added that oysters and champagne are a fun, indulgent meal for a holiday. To accompany its American cuisine, the restaurant offers three patio domes: outdoor, igloo-shaped spaces with space heaters that seat six to eight people. “(They) are kind of designed like a cozy, bungalow feel in there,” Paulsen said. If couples aren’t interested in American food, Koi — voted Best Chinese Food in North Shore Chicago from 2015 to 2018 by Make it Better Magazine — will be serving a three-course, prefixed dinner that includes two glasses of champagne and dessert from Bennison’s Bakery. Owner Sandy Chen said the restaurant, which is celebrating its 50th anniversary this month, will prepare a Valentine’s Day entree called “Dragon and Phoenix,” consisting of General Tso’s chicken and shrimp with lobster sauce and served on a heart-shaped plate. “(The Dragon and Phoenix) represents (a) long relationship,” Chen said.